Volkswagen UK held an event last week promoting their luxury 4x4 vehicle, the Touareg, at the West London Shooting School in Middlesex. The event featured six Touareg sponsored ambassadors, each captaining a team in a series of activities to determine the greatest all rounder. 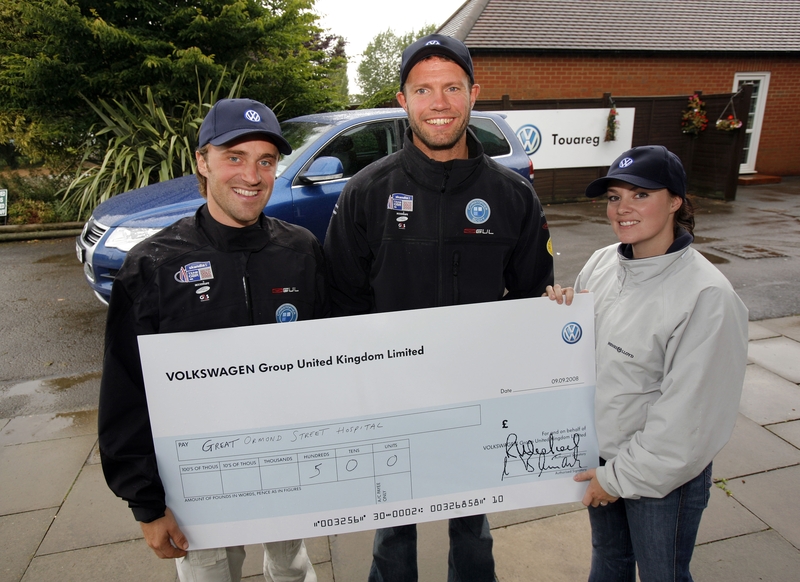 The winning team received a cheque for their chosen charity, donated by Volkswagen. Team captains were Volkswagen’s Olympic ambassadors; Steve Williams (coxless mens fours), Mary King (three-day-eventing), Will Howden and Leigh McMillan (Tornado sailing class) as well as former England cricketers Dominic Cork and Chris Adams. The event, a first of its kind for Volkswagen, took place at the West London Shooting School, where Volkswagen are official vehicle supplier. With superb facilities, guests battled it out at clay shooting, fly fishing, air rifles, kwik cricket and reversing a 4x4 Touareg whilst towing a horsebox! The eventual winners were GBR sailors Will Howden and Leigh McMillan, who competed in the Tornado Class at the recent Olympics. The competition went right to the final event – and was won by Leigh McMillan who expertly reversed the Touareg and horsebox through a tight course of cones. The sailing pair chose to donate their prize money to the Great Ormond Street Children’s Charity. Volkswagen created it’s ambassador programme in 2003, to help raise awareness of it’s new 4x4, the Touareg. To help promote this, carefully selected Individuals, who place high demands on the vehicles they drive, were chosen as representatives of the brand. Each of the ambassadors drives a Touareg 3.0 V6. The Volkswagen ambassador programme was created in 2003, to help raise awareness of two new models launched by Volkswagen that year – the Touareg and Phaeton. The vehicles heralded a new era for the brand as it extended its range, widening its appeal to a greater audience and further demonstrating its commitments to engineering perfection. To promote this, carefully selected individuals that place high demands on the vehicles they drive, from comfort and luxury through style and design, were chosen as representatives of the brand. Volkswagen's luxury 4x4, the Touareg, is the official vehicle partner of the prestigious West London Shooting School (WLSS). As part of this partnership, Volkswagen has a fleet of Touareg’s on site, an off road course and a dedicated Volkswagen Touareg shooting stand. These vehicles are used to transport guests around the site as well as to various simulated shooting days at country estates throughout the year. The Touareg’s abilities both on- and off-road make it the ideal car for WLSS and any shooting enthusiast. Founded in 1901, the West London Shooting School is the oldest independent shooting school in the country. Around 8,000 people visit the WLSS each year to practise clay shooting and a large proportion of these are 4x4 owners. This natural fit between product and the sport was the foundation of the relationship between Volkswagen and the WLSS. This press release was distributed by ResponseSource Press Release Wire on behalf of Essentially in the following categories: Leisure & Hobbies, Sport, Motoring, for more information visit https://pressreleasewire.responsesource.com/about.